William James Herath... - READY... SET... QUESTION! 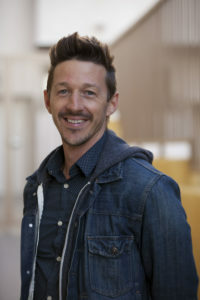 is founder of ReadySetQuestion.com, a place dedicated to building faith one question at a time. Herath is a katalogetic & apologetic speaker. He is part of the Truth Conferences with Josh McDowell and a member of the Ratio Christi Speakers Bureau. He is director of two Ratio Christi campus ministries. 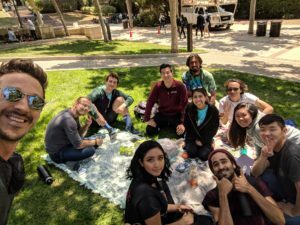 One meets at UCLA on Thursdays from noon-2pm and another at Santa Monica College that meets on Wednesdays from 11:30am-1:30pm. William writes youth curricula for high school and college groups and has served on the National Vineyard Church Curriculum Team. Also, William James Herath has written books on the pseudoscience of evolution and the theological fallacy of God using evolution to create. Herath speaks at youth groups, winter camps, summer camps, youth retreats, creationist clubs, high schools, and middle schools. 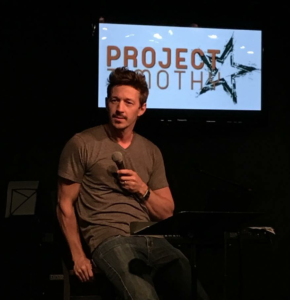 He has been working with young people since 2006 serving five years on staff at the Westside Vineyard Church of Los Angeles as pastor of youth. William has strong ties with the Vineyard Church and Ratio Christi and he affirms both of their statements of faith. Herath has a passion for those who may be opposed to attending a church service or getting involved in a Christian ministry. So, William opens up dialogue surrounding the deep questions of life by hosting Stump a Christian nights in Los Angeles and when he travels. William lives in Los Angeles, California with his wife and two children. In addition to being an author/speaker, Herath has appeared in over forty national television commercials. Please visit William’s YouTube channel to learn more! HELP, MY KIDS ARE ONLINE! DOES GOD REQUIRE BLIND FAITH? Send an email to William, he’d love to brainstorm and chat about how he can bring value to your upcoming event/gathering.